If you’re looking for the best backpacking Malaysia route and how to create a Singapore-Malaysia itinerary, here are my top tips. I have been backpacking in Malaysia twice, both times exploring the country for 2 to 3 weeks, including a trip to Malaysian Borneo and across the border to Singapore. Places to visit in Malaysia range from bustling cities to wildlife-packed nature parks, rolling tea plantations and secluded paradise islands. The country’s melting pot of cultural influences is most evident in its food, which is among the best in the world. Read on for a backpackers’ guide to Malaysia and a host of things to do in Malaysia on a budget. Malaysia has a tropical climate with hot and humid weather most of the year, with temperatures between 25°C and 35°C. Areas such as the Cameron Highlands are cooler, with temperatures from 15°C to 25°C. There is a fair amount of rain in Malaysia, but usually only in short bursts. I spent two weeks in Malaysia in March and another 2-3 weeks in July the following year. It was more agreeable to spend time in the cities in March, as the temperature was not as hot as in July, but there were occasional rainstorms in Borneo. The country is divided into two areas: Peninsula Malaysia (or West Malaysia), which is the southernmost point of the Asian mainland, and Malaysian Borneo (or East Malaysia), the Malaysian states of Borneo, the world’s third largest island. Borneo lies around 450 miles east of Peninsula Malaysia across the South China Sea. On Peninsula Malaysia, the west coast, the lowlands and the highlands are best to visit during the winter months of November to March, as the weather is drier and you’ll benefit from off-peak prices. On the east coast and over in Borneo, April to September brings the best weather. First up, visas. Citizens of many European countries, as well as the UK, the USA, Australia, Canada and New Zealand can have visa-free entry to Malaysia for up to 90 days. Check your national government travel advice and make sure your passport is valid for at least 6 months from your departure date. Health and safety is another important consideration. Check with your doctor or at a specialist travel clinic about any vaccinations you may need. Lonely Planet has a useful page about recommended vaccines and other health considerations so you can stay safe and well in Malaysia. If you do fall ill or get into trouble, you will need travel insurance, so make sure you take out a policy before you leave. 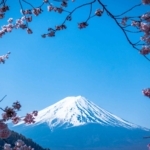 Lonely Planet recommends World Nomads, which is great for backpackers. Find out more and get a quote here. Around 26 million international tourists visited Malaysia in 2018, making it the second most-visited South East Asian country after Thailand. You can start creating your Malaysia backpacking route by deciding what kind of trip you’re most interested in. 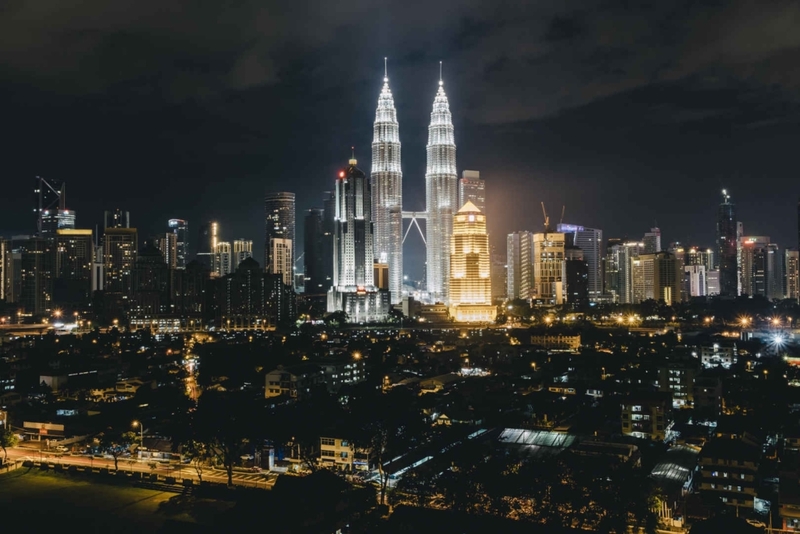 If lively cities are your thing, popular Malaysia tourist places include the capital, Kuala Lumpur, as well as Malacca and Penang Island’s capital George Town. Nature lovers will adore the rolling tea plantations of the Cameron Highlands, as well as the jungles and orangutans of Borneo. If it’s blissful beaches you’re seeking, the Perhentian Islands, Tioman Island and Langkawi are ideal stops on your Malaysia backpacking trip. 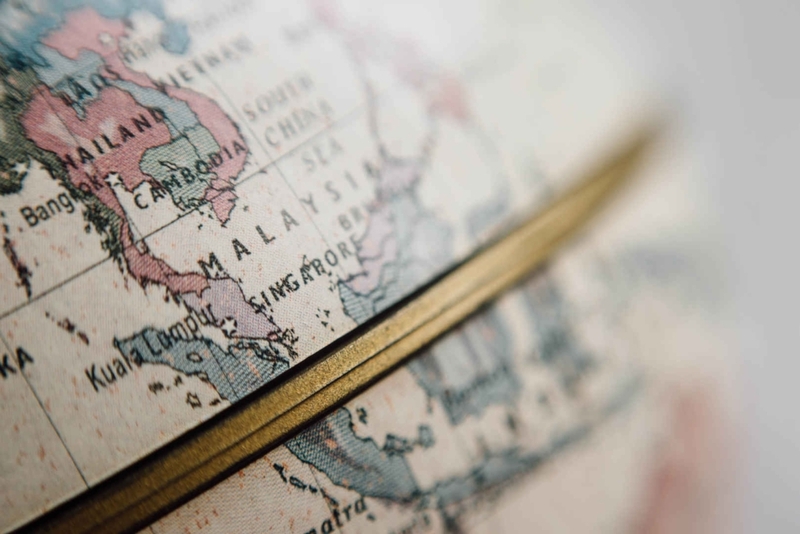 The best places to go in Malaysia may depend on where you arrive in the country, which will usually be via Kuala Lumpur airport, Penang or perhaps through Singapore. You can then use this as a base to visit the nearby attractions on your Malaysia backpacking itinerary. For example, from Penang, which is close to the border with Thailand, in five hours you can reach the city of Ipoh to access the Cameron Highlands. In around 3 hours, you can travel by ferry from Penang Island to Langkawi Island. I found Kuala Lumpur to be a great location to reach most of the main places to see in Malaysia. There are regular and affordable intercity buses to most places, some of which connect with boats to the islands. There are also budget airline routes from KL to hop over to Borneo, meaning you can fit in plenty of destinations in your Malaysia itinerary. To help with your research, the first thing you might want to do – other than reading a backpackers Malaysia blog article such as this one – is to pick up a Malaysia travel guide, such as this book from Lonely Planet. If you’re backpacking Southeast Asia, you may be wondering, is Malaysia worth visiting if you don’t want to spend a lot of money? The good news is, budget travel in Malaysia is easy and rewarding. If you’re travelling independently, you can expect to pay around US$65 per day, so the Malaysia trip cost is small when you factor in the ease of travelling around Malaysia and the wide variety of places to see and things to do. A budget holiday in Malaysia is more than doable, especially if you find cheap flights. The official currency of Malaysia is the Malaysian ringgit. One ringgit is around US$0.25. Tipping in Malaysia is not expected so you don’t need to factor this into your Malaysia trip budget. 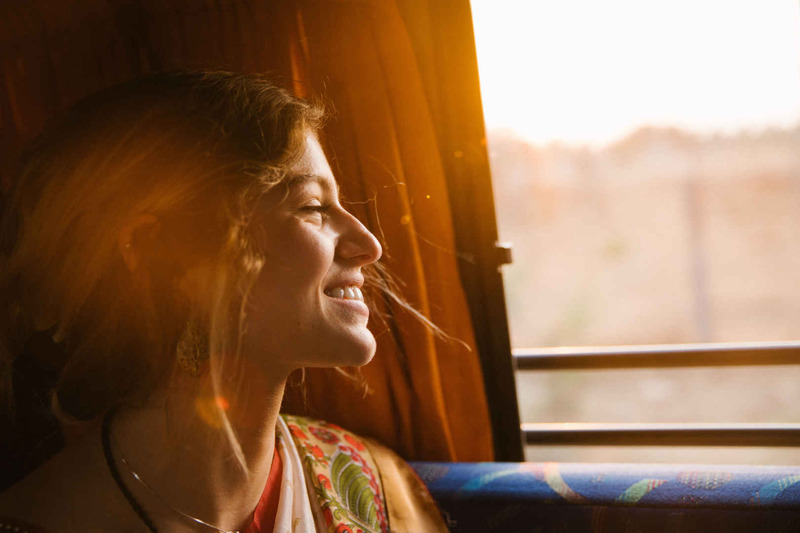 Budget travel ideas for exploring Malaysia include taking an overnight bus between destinations, so you save on one night’s accommodation on your chosen Malaysia backpacker route. When you arrive, you can negotiate rates with guest house owners to get the best price, especially if you are planning to stay a few days. For this reason, I would suggest booking no more than the first night or two in advance. 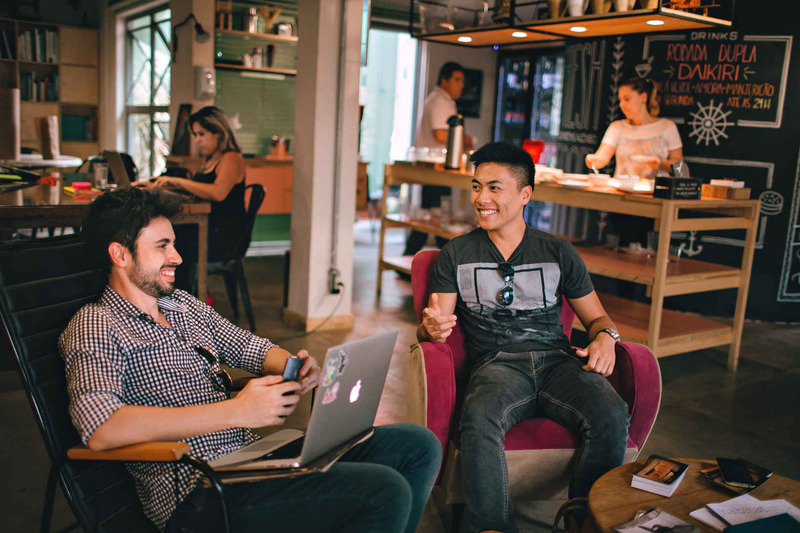 This will mean you can make sure you’re happy with your accommodation – and you’re free to scout around if not – and it helps you to effectively manage your backpacking Malaysia budget. I kept a spreadsheet of all my costs, so I could keep track of my expenditure for food, transport, accommodation and extras. Click here to read my post on how to manage your budget while travelling. I’ve got to start with the food. In Malaysia you will find incredible street food. Food lovers like me will discover that there is plenty to tuck into in this country. Wherever your Malaysia holiday takes you, you’ll find an array of temptingly cheap and scrumptious food stalls lining the streets or inside special food halls known as hawker centres. At the food markets in Penang you can buy a freshly blended juice from a dazzling list of exotic fruits, a salty and satisfying nasi goreng, or a spicy parcel of tofu or fish and rice cutely wrapped in a banana leaf. Borneo presents an equally succulent choice of street food from its hawker stands. Here it’s easy to spend your day sampling dish after dish: noodles with barbecued pork, sweet chilli chicken with greens, delicate fish ball soup and sumptuous pork satay skewers accompanied by fresh cucumber. Totally delicious and devilishly good value. 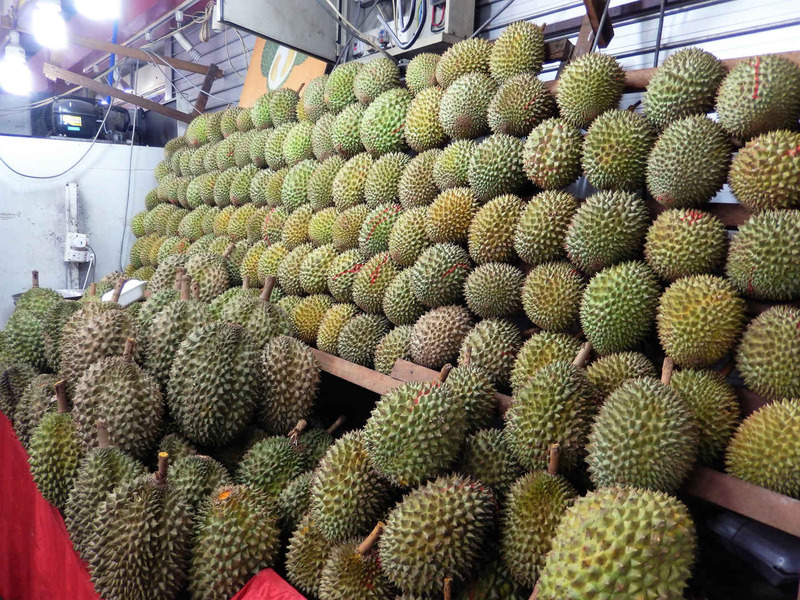 Durian is a famous fruit in Singapore and Malaysia and you can find market stalls dedicated to selling it. Its soft yellow flesh is similar to mango but the taste is sweet, sour and almost cheesy. Some people love it, while others hate that its smell gets everywhere. Some durian sellers will give you gloves to eat it, so it doesn’t linger all over your fingers. You will even see signs on public transport, saying eating durian on board is forbidden. Give it a try and see what you think. Click here to read my post all about the best street food in Malaysia. Finding cheap accommodation while you’re backpacking Malaysia is easy. There are a lot of inexpensive dorm rooms in city hostels and cheap beach huts, though you may need to look around to find the right one for you. See the section above, How to make the most of budget travel in Malaysia, for tips on how to keep accommodation costs to a minimum. While Malaysia is a melting pot of people with Malay, Chinese and Indian backgrounds, there are many expats and English is widely spoken. As you are most likely to arrive in Malaysia via its capital city Kuala Lumpur, we’ll start the city section here. Often called abbreviated to KL, things to do in Kuala Lumpur include checking out its stunning towers, as well as exploring Chinatown, Little India and Central Market. 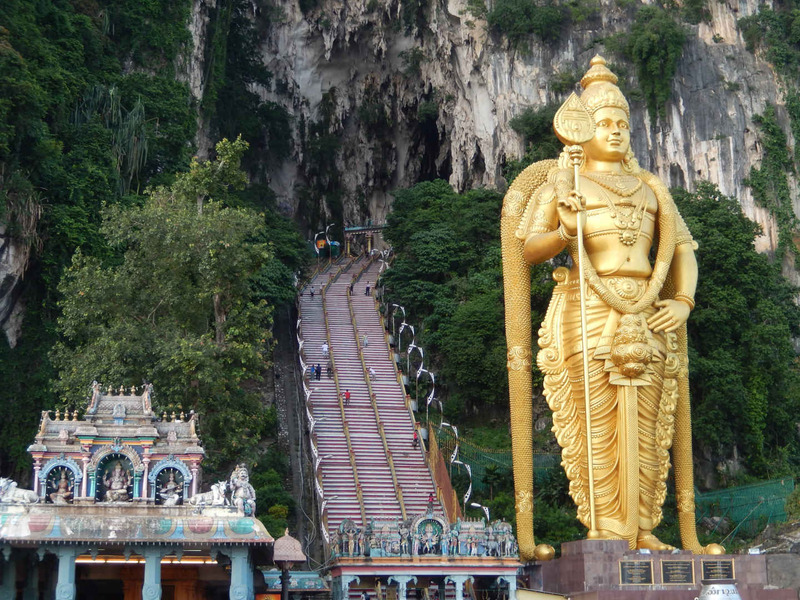 For a side trip just outside of the city, don’t miss the glittering Batu Caves. 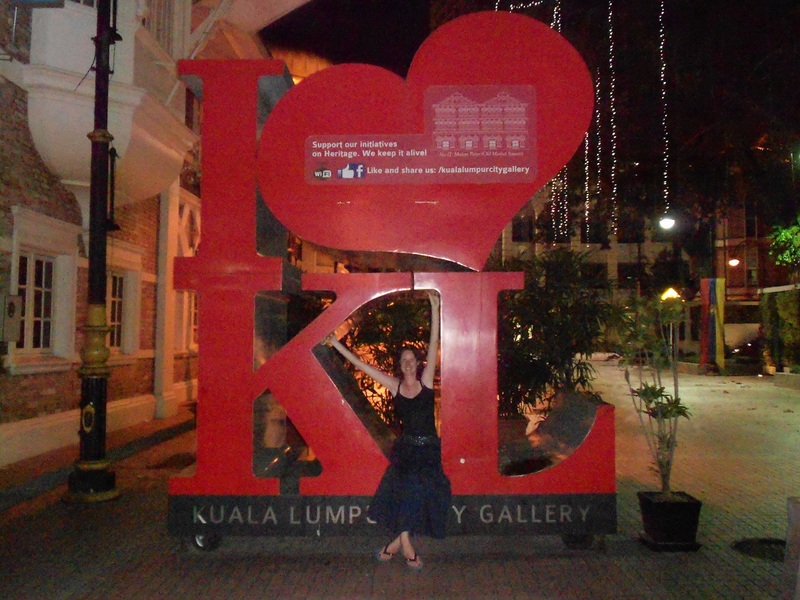 Click here to read my post all about backpacking in Kuala Lumpur and what to do for 2 days. The key in Kuala Lumpur is to look up, as KL has impressive towers. The glamorous 452-metre high Petronas Towers dominate the skyline. At night, they light up like two giant, glittering diamond earrings. 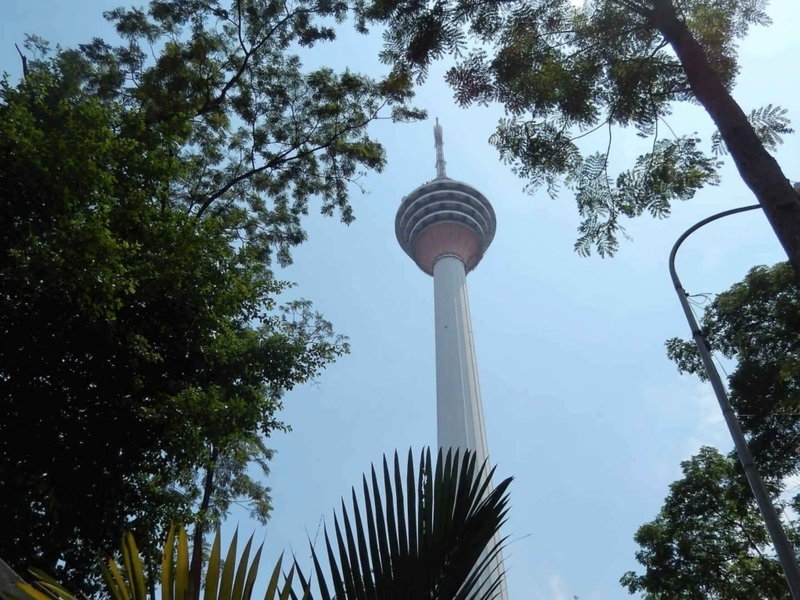 There is also the Menara Kuala Lumpur, or KL Tower, which is the world’s eighth tallest free-standing tower. An elevator to the top gives you a panoramic view to admire the city surroundings. A treat for culture lovers on a Malaysia travel itinerary is a short journey from Kuala Lumpur on the KTM commuter train system. Carved into a 400 million year old limestone hill, the Batu Caves are one of the most popular Hindu shrines outside of India. Inside the hill is a series of caves and temples containing statues and artworks. The largest, Cathedral Cave, can only be reached by climbing 272 steps, past an astonishing 42.7-metre gold statue of Lord Murugan, the Hindu god of war. Well worth a visit. Hostels are perfect for budget travel, Malaysia-style. The best area to stay in Kuala Lumpur for backpackers is the city centre, close to the Masjid Jamek metro station, Chinatown and the eclectic stalls and Art Deco architecture of the huge Central Market building. Two of the best backpackers hostels in Kuala Lumpur are here: Back Home and Reggae Mansion. These are both ideal bases for your backpacking Malaysia route, as you will meet many fellow travellers and can share ideas and tips. For example, I met a lady at Back Home who told me about the Batu Caves. Back Home absolutely became my home from home in Malaysia. I returned to this place several times, as I loved its stylish modern dorm rooms with spacious beds, personal lights and electrical sockets. The staff are friendly and helpful, there’s a free breakfast and the showers – with real rainshower heads – are just divine when you’ve stayed in shabby backpacker places. Nearby is Reggae Mansion, known as Kuala Lumpur’s main party hostel, set in a distinctive Colonial-style building. I didn’t stay here, but I came for a birthday dinner with my roommates, followed by drinks on its rooftop bar, and they made us feel super welcome. While Back Home is calm and quiet, if you’re after a party atmosphere, Reggae Mansion is for you. 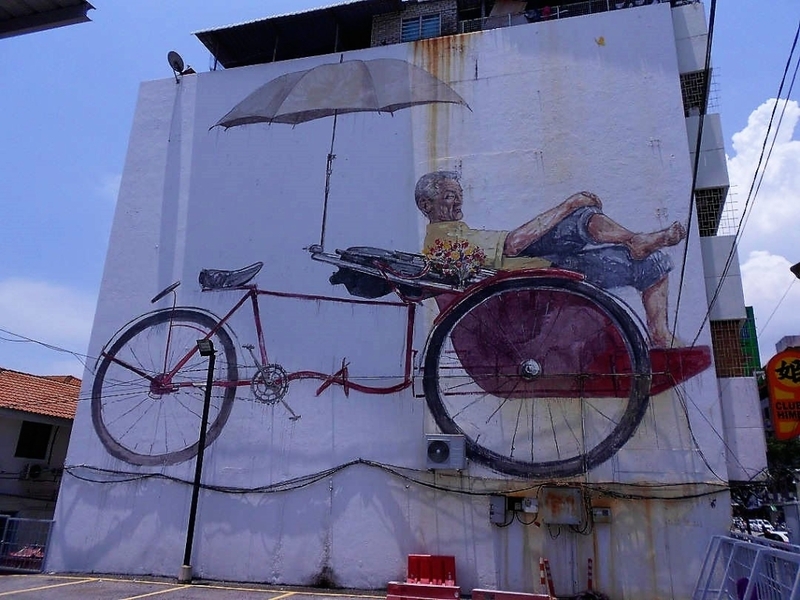 The capital of Penang Island in Malaysia’s northwest is George Town, which is popular with backpackers and a UNESCO World Heritage Site thanks to its incredible street art. It is also a big foodie city. Penang is around 5.5 hours by bus from Kuala Lumpur or you can take a short flight. It is also accessible overland by bus from Thailand as it’s close to the border. 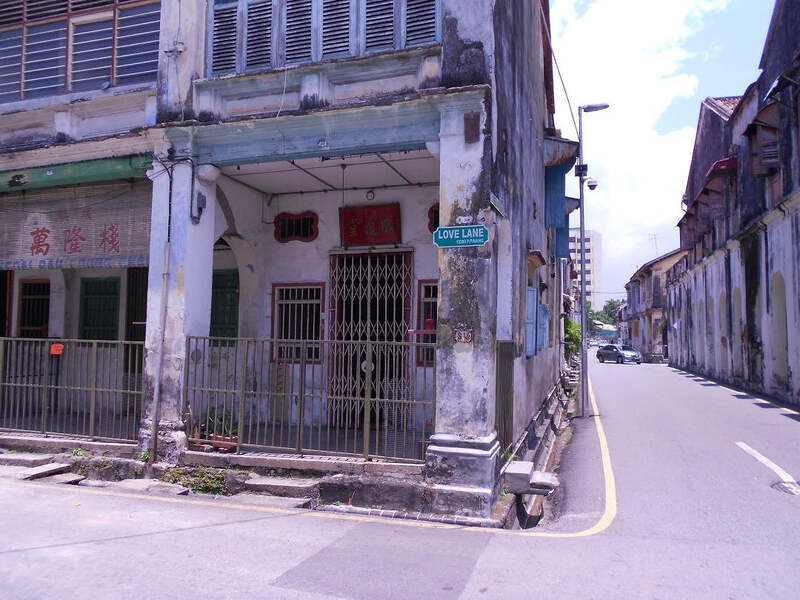 The best hostels in Penang are around George Town’s delightfully named Love Lane. At dinnertime, simply grab some cheap and delicious food and fresh exotic juices from the nearby Chulia Street Night hawker stalls. Don’t miss the city’s Red Garden Food Paradise, which has a wide array of tasty Asian food options. Just wandering around George Town you will spot a number of enormous street art murals. In 2012, the city commissioned Lithuanian artist Ernest Zacharevic to create a series of wall paintings depicting the local citizens and lifestyle. These have now become cultural landmarks in their own right, earning the city UNESCO World Heritage Site status. 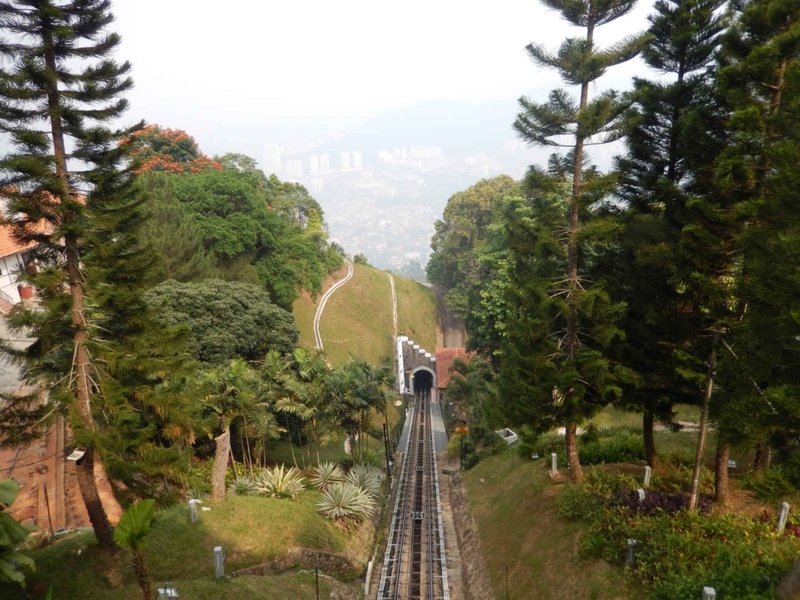 At the top of Penang Hill, accessible by a steep funicular railway, there’s a scenic observation deck and a number of restaurants and attractions. Here, there’s a love lock bridge where hundreds of people hang decorated padlocks to declare their love for each other. It is heart-warming to see these personal, hand-made statements of romance and dedication. You can even spot small keys down beyond the fence where couples have sealed their padlock and thrown away the key. 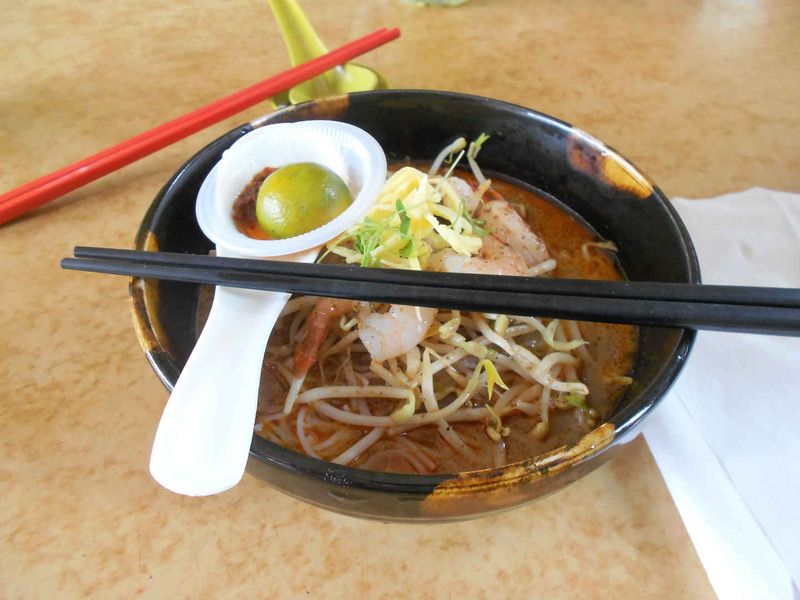 Check out all the things to do in Penang and the best itinerary in my dedicated post here. Malacca, a port city also known as Melaka, is another UNESCO World Heritage Site. Its multi-cultural heritage and varied architecture reflects its Asian and European influences, as over the centuries it was colonised by the Portuguese, Dutch and English. Malacca is around 2 hours by bus from Kuala Lumpur. 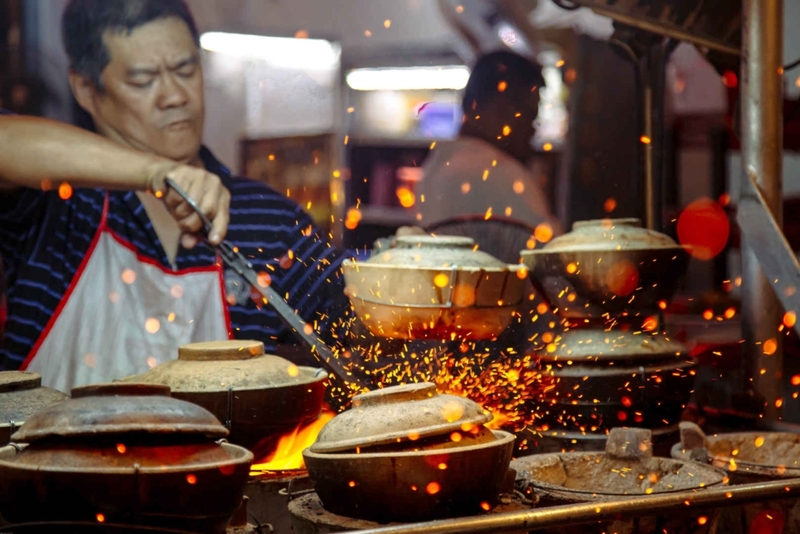 Things to do in Malacca include taking a ride around the city in one of its notorious ‘tri-shaws’, walking along its heritage trail, cruising in a boat on the river, checking out the pretty cafes and visiting the Jonker Walk markets on a Sunday. 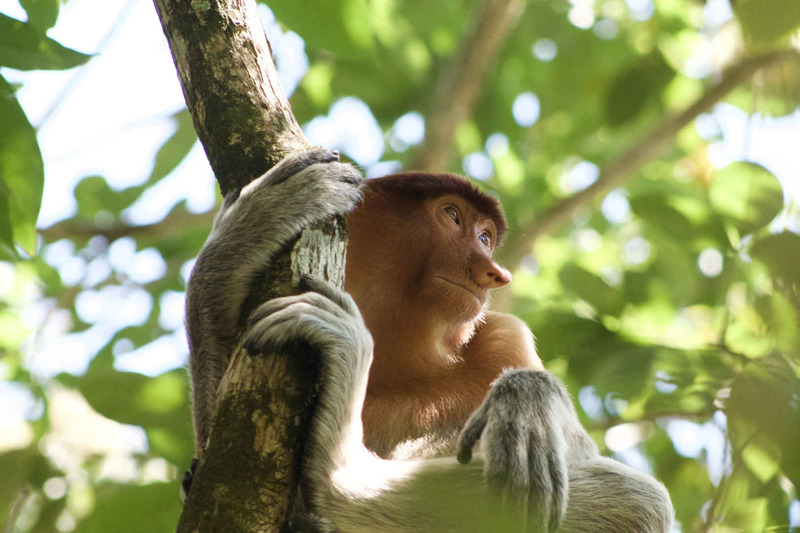 A short flight from Kuala Lumpur is the island of Borneo, which is famous for its wildlife. Kuching in Sarawak is a great base for your Borneo backpacking route. From here you can take day trips to the Semenggoh Wildlife Centre to see the island’s famous orangutans and Bako National Park for jungle adventures. This is why Borneo is a recommended stop on your backpacking route: Malaysia is great for nature lovers. Borneo has three parts owned by Malaysia, Brunei and Indonesia. The Malaysian section is split into two states, Sabah and Sarawak. Kuching is the capital of Sarawak, while Kota Kinabalu is the capital of Sabah. Air Asia and Malaysian Airlines operate flights from Kuala Lumpur to Kuching. 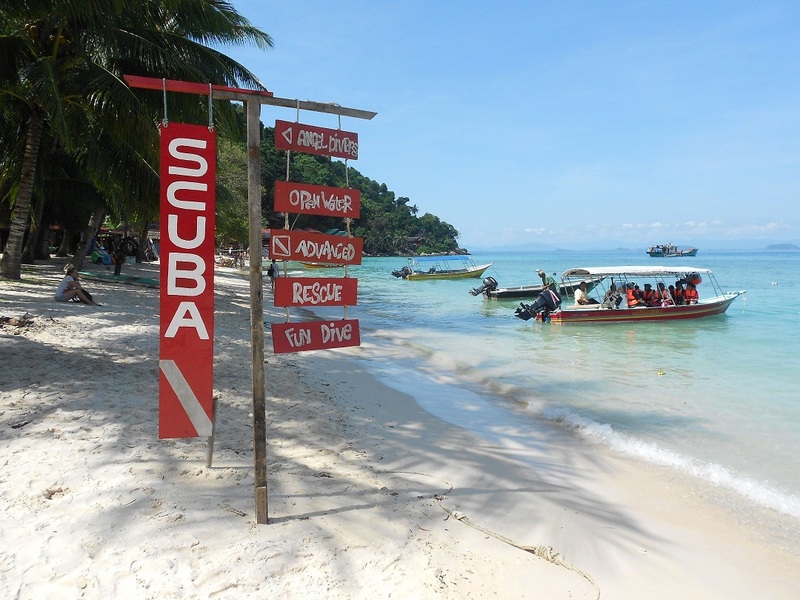 Find out more about things to do when backpacking Borneo in my special post here. The Semenggoh Wildlife Centre cares for orangutans that have been found injured or orphaned in the nearby jungles, before releasing them back into the wild. Here you can watch these beautiful creatures swinging through the trees to pick up their banana breakfasts, as part of your Borneo backpacking itinerary. 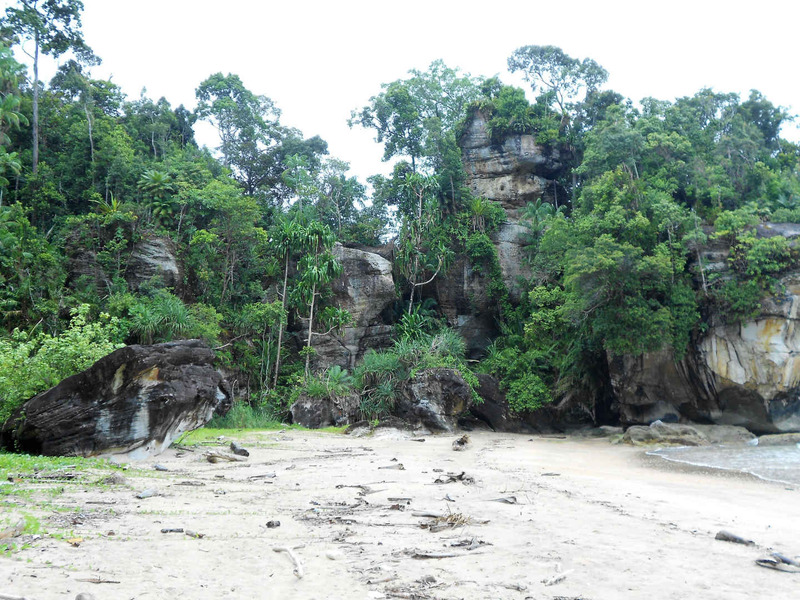 Bako National Park, an hour’s bus ride and boat trip away from Kuching, offers nature fans the chance to escape into the jungle for some of the best hiking in Malaysia. Discovering deserted beaches, clambering over rocks and stepping through huge tree roots, you’ll spot huge leaves, exotic red flowers and armies of ants. You can even do an organised night trek, taking torches to seek out the nocturnal creatures and fascinating insects. The Cameron Highlands are over 700 square kilometres (275 square miles) are one of Malaysia’s most established tourist attractions. They are around 3.5 hours by bus from Kuala Lumpur. 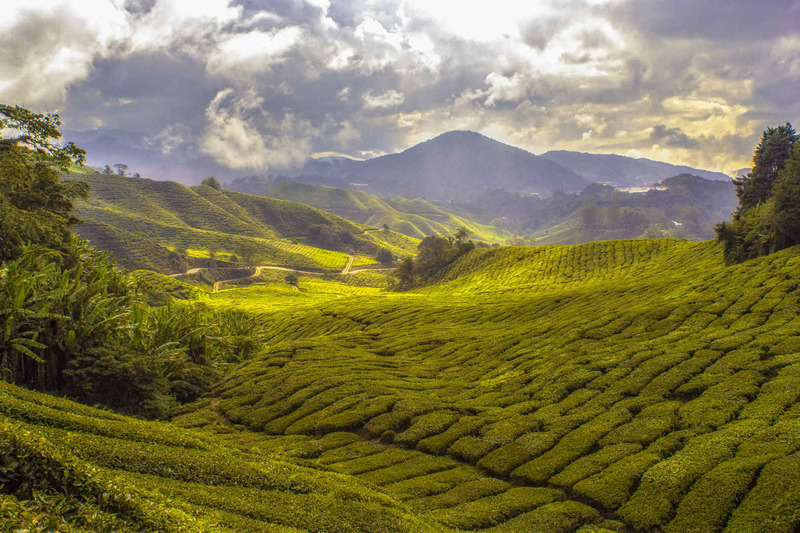 For years, backpackers have been drawn to the Cameron Highlands for trekking in Malaysia, thanks to its rolling tea plantations, natural beauty and refreshingly cool climate. 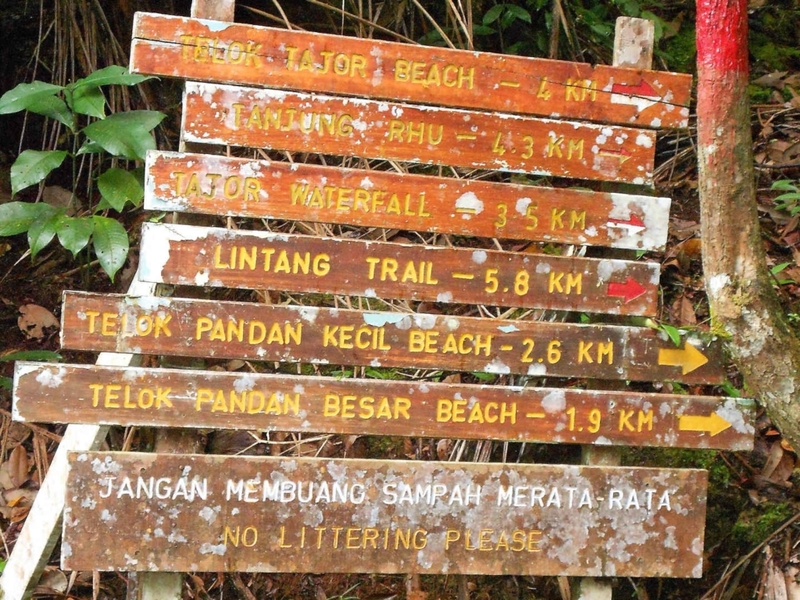 Its variety of trails and jungle walks make it one of the best hiking places in Malaysia. You can find out how tea is grown and produced here, and taste some for yourself. If you fancy an island break on your Malaysia holiday, try the Perhentian Islands, which you can reach by bus and boat from Kuala Lumpur in just under 6 hours. Pulau Perhentian Kecil – meaning Small Perhentian island – sits next to her big sister island in the South China Sea, off the northeastern coast of Malaysia. Here, on Coral Bay, adventure lovers can try their hand at scuba diving. 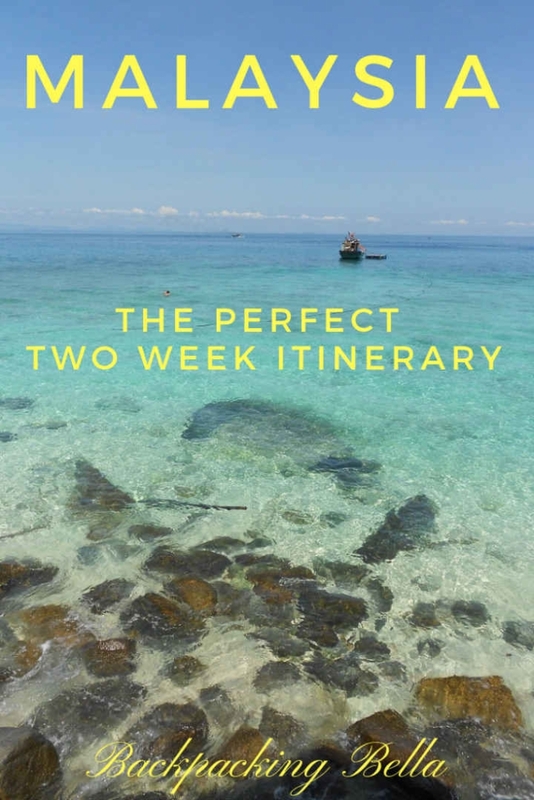 Check out my special post all about the Perhentian Islands here. With a clear blue sea, a simple snorkelling venture into the shallow waters reveals an abundance of coral, fish and other creatures underneath the waves. For scuba divers, to fully submerge in this underwater landscape is a dream. You share the ocean space with hawksbill and green turtles, clown fish playing in anemones, huge schools of tiny fish, colourful coral reefs and so much more. We were even lucky enough to see a black tip shark swim by at close range, though I think it was more scared than we were. 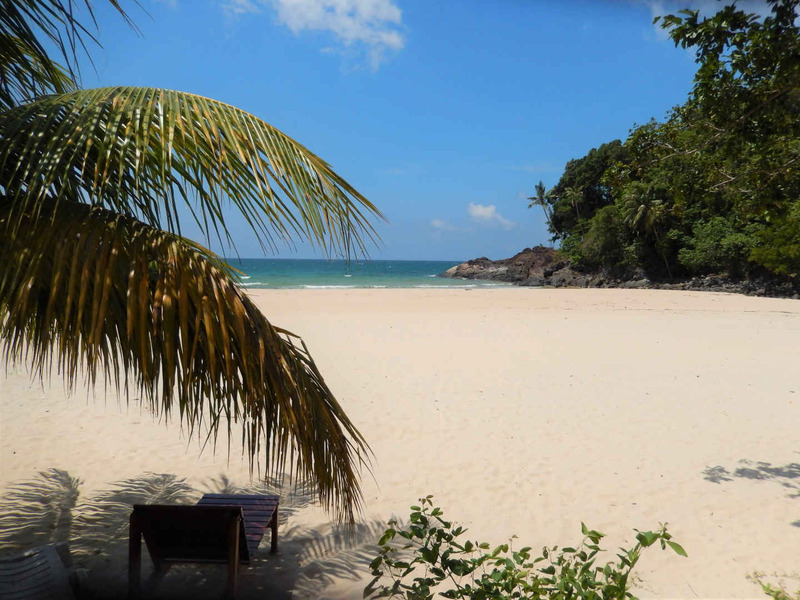 Another island option for your Malaysia itinerary planning is the beautiful Tioman Island, off the east coast of Malaysia. It takes about 4 hours by bus from Kuala Lumpur to Mersing, where you can catch a speed-ferry boat to Tioman. 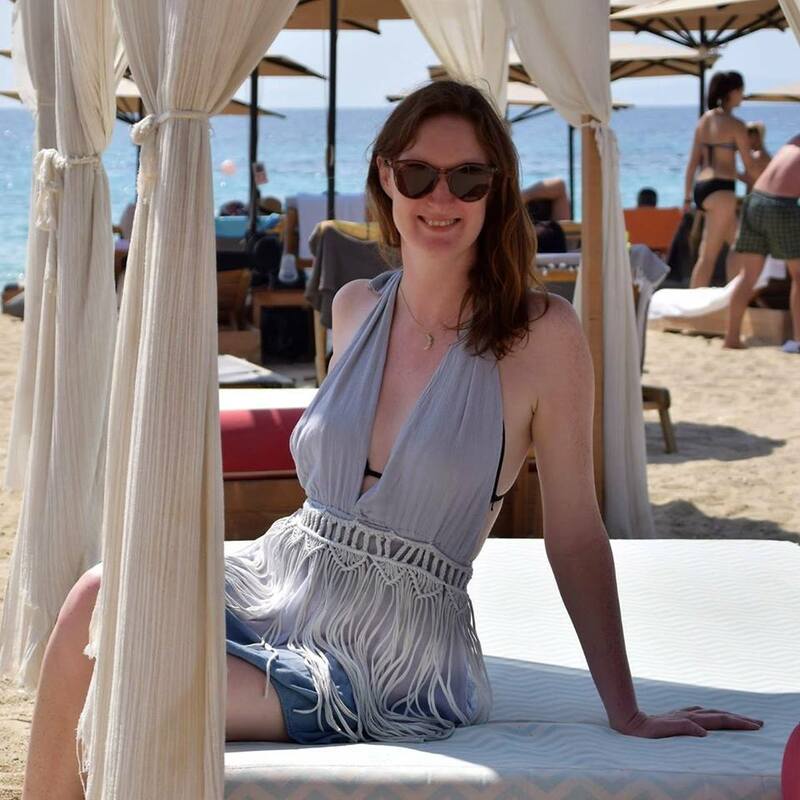 Here, I had one of my most remarkable natural experiences – seeing a hundred newborn turtles scramble their way across the beach into the sea for their first ever swim. At the Juara Turtle Project on Tioman’s Juara Beach, there is a wealth of information on why many of the island’s turtle nest beaches are being destroyed. The volunteers at this centre do valuable conservation work they do to protect the remaining, now endangered, population. At their hatcheries you can see the volunteers place eggs for incubation, after rescuing them from beaches around the island. Here they can hatch in safety. Each nest contains around a hundred eggs and once one starts to hatch, the rest follow suit within minutes. If you’re lucky, like us, this could happen while you’re there. That evening, during sunset, we joined the volunteers as they released the brand new baby turtles into the sea. We watched in awe as the little creatures make their way to their new life in the wild. It was fun to watch as over a hundred turtles scrambled along the sand using their flippers, racing each other to reach the waves. This was undoubtedly a highlight of our trip to Malaysia. 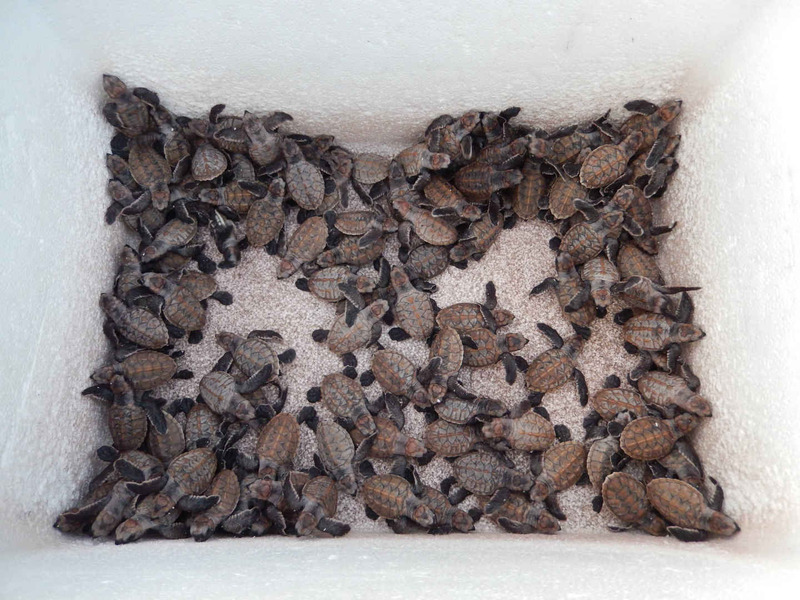 Read about all about Tioman Island and the turtle project here. Langkawi is an archipelago of 99 islands in the far north west of Peninsula Malaysia. It’s a 2-3 hour ferry ride from Penang to the main Langkawi Island. 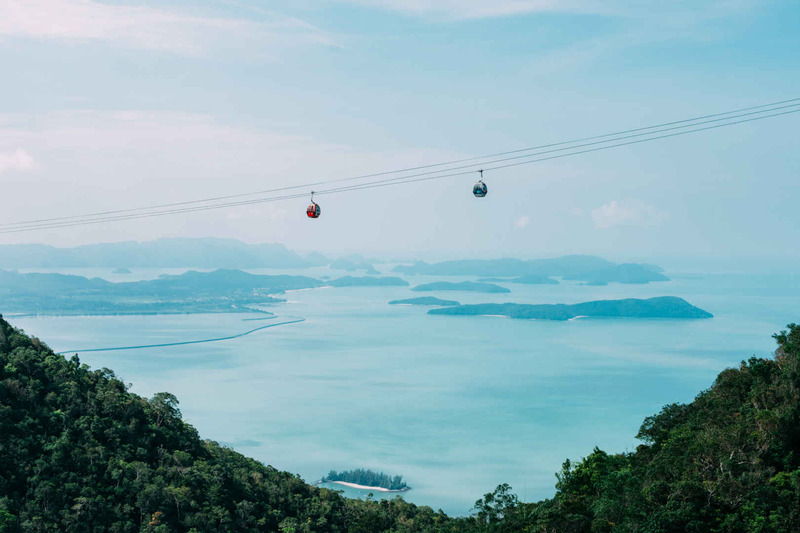 Things to do in Langkawi include taking a dip in the Seven Wells Waterfall, relaxing on the beach, exploring the jungle and taking in the views from the cable car and Sky Bridge. You can also, of course, go island hopping around the rest of the archipelago. While you’re backpacking in Malaysia, why not take a side trip to the vibrant Lion City of Singapore, an island state off the southern coast of Malaysia. It’s a five-hour bus ride from Kuala Lumpur. In just a few days, you can see many fascinating sights, from super trees to spectacular light shows, so it’s definitely worth doing a Singapore-Malaysia itinerary. take a trip to Sentosa Island for many more fun attractions during your stay here. 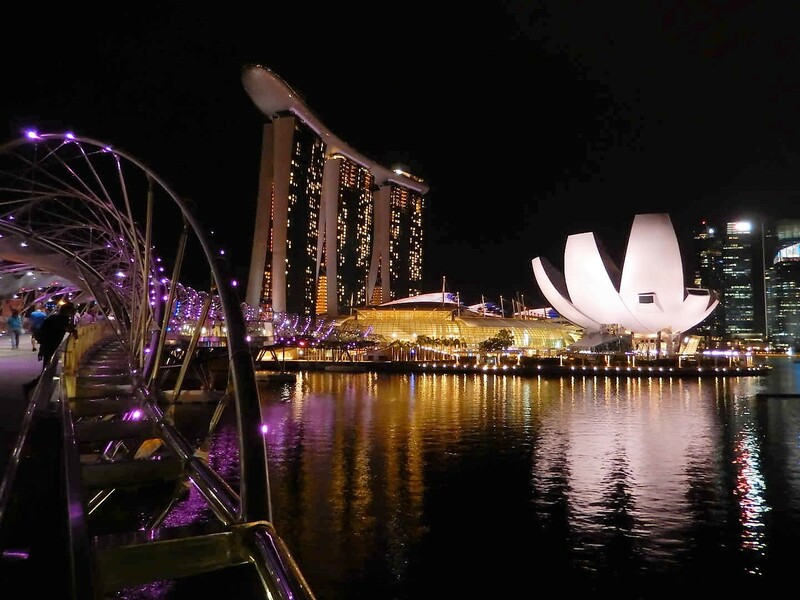 Click here to see the full itinerary for 7 days in Singapore. 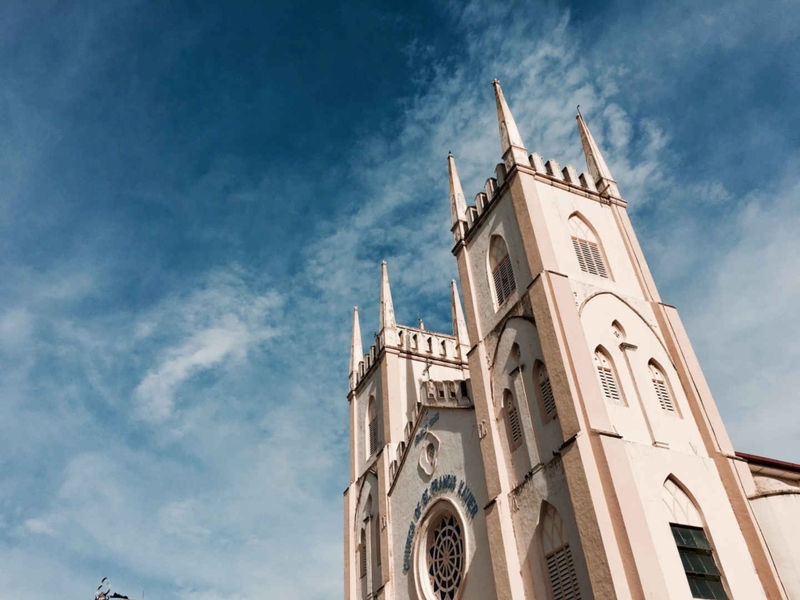 As Penang and Langkawi are close to Thailand, why not hop across the border and take a trip to some of its fascinating nearby islands off the west coast, including Koh Lanta. Check out my full article about unique things to do in Thailand here. So there you have it – an incredible Malaysia backpacking route including Singapore for your perfect backpacking itinerary. Next up, find out the most beautiful things to do when backpacking in Bali. Hi Clare thank you for sharing. İt was really nice to read it. And i m planing to go maleysia in november i hope i can see all location that where u write here. You are very welcome! I hope you have an amazing trip! The baby turtles were SO cute! Such a precious moment. 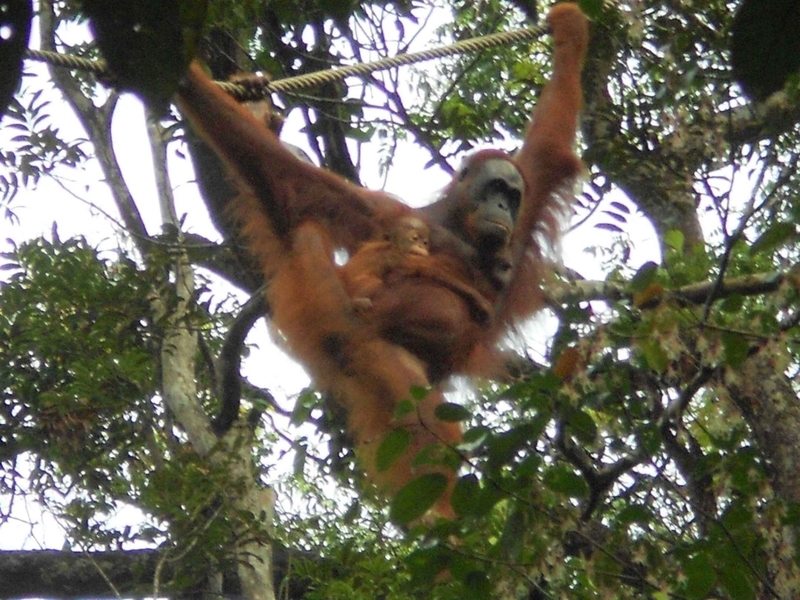 And the orang utans were awesome too! I love them. 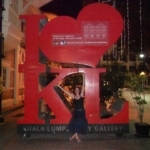 Love Malaysia – what a brilliant roundup and OMG the food – so tasty. That street art in George Town is so cool too. Great post. Thanks so much! The food was so delicious! And I love a bit of street art – the murals in George Town are excellent. Hello. This is a nicely written article. I hope to visit all the places mentioned by you in October when i go there. Thanks! Have a great trip in October. Malaysia looked truly incredible! I remember when my brother and his girlfriend went there, they fell in love with all its beauty and you truly captured it. The statue is just breathtaking as well as all the wildlife. Great post on Malaysia – one of my favourite places to travel. I think you have covered all the important bits. The food is of course amazing, and I can’t help but recommend the Perhentians enough!